LAN Architecture is a Local Architecture Network, including twenty professional people (young and experienced architects, designers, graphic and 3D images designers, communication and development coordinator, etc.) and teaming up with specialized external consultants. The agency work have been recognized and primed, in France and abroad. LAN Architecture was selected by the French Culture Minister for the New Albums of the Young Architects Award (Nouveaux Albums des Jeunes Architectes) in 2004. Since, the agency knew an important activity growth and improved projects scale. LAN Architecture is actually working on fifteen operations and develops its activity in several countries. Team projects investigate new territories and create new manners, while respecting intrinsic context specificities, programs and sites, and combining strong social and urban implications. 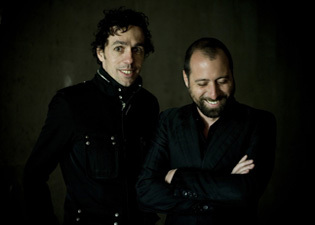 The sudio was founded by Benoit Jallon et Umberto Napolitano In 2002.